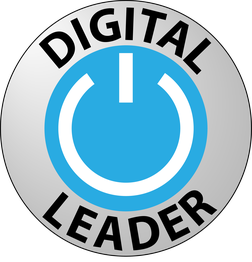 Congratulations to all our newly appointed Digital Leaders. All KS2 children were invited to apply for the role by filling in an application form . The response from the children was overwhelming with many, many strong applications.It was deemed the fairest way to appoint from such a strong field, would be by random selection so all strong applicant names were put into a hat and these lucky 20 were chosen. The first meeting with our new Digital Leaders happened today and they demonstrated a fantastically positive approach to their new responsibility. During the meeting we discussed the role and shared some ideas of how the children will be directly involved in leading some initiatives on Computing, as well as take on the responsibility of generating their own ideas and implementing them. To support the development of computing across the school by leading on initiatives (generated by children and staff) - one idea they suggested today was running some Computing Clubs at lunchtime so we hope to enable them to start this soon! At their next meeting, they will be generating their own job description and completing a Survey Monkey so we can consider how to best utilise their skills. We will also share the new online resource with them and provide details for parents as to how this can be used at home. The role will very much be initiated by them and we look forward to hearing some more of their ideas for Computing development and to agreeing the next steps together - well done and thank you Digital Leaders!